If they update their status on Facebook, within minutes they get likes and comments. If they post on Reddit, they could earn a coveted trophy next to their name. When they chime in on Quora, they could be voted the best answer for that question. Naturally encourage quality comments and community contribution. Holy cow, someone's invested enough in your site to leave a comment and all you can do is ...well, nothing. As website owners, most of our time and effort goes towards trying to get visitors to interact with our site: click this button, visit this page, subscribe, sign up... but we often don't look twice when a visitor takes the time, effort and thought to leave a comment. It's your visitor putting their hand up, letting you know they're interested in what you're doing - far more than just putting their email address in a field. When all you can do is tell them their comment is 'pending approval', so much opportunity is left on the table. can post their comment (and your post) to Facebook as well? With Thrive Comments you can set post-comment actions. Anything from redirecting a commenter to a URL, showing related posts, giving social sharing prompts, or when combined with Thrive Leads, opening a lightbox. Why do your visitors write comments? So they can be seen, heard, and validated. So why not give them a chance to do that in a way that directly benefits your business. We've brought the power of Social Media to your WordPress comments, unlocking increased traffic, reach and shares for your site. Make commenting friction-less for your audience by allowing visitors to leave a comment straight from their social accounts, no sign in required. Combine this with an after comment prompt to share the article on social - and the ability to share individual post comments - and you've got yourself a recipe for Social Media success. I'm going to let you in on a little secret. One of the reasons Thrive Themes is so successful is because we realized the power of having a direct line to our audience. Two things allow you to tap into this rich resource. Getting your visitors to leave comments in the first place (✓ - see Spur Engagement above) and collecting and organizing these insights in a logical, actionable way. Up-votes and down-votes allow you tap into the silent majority, creating a no fuss way for the less active visitors to give their opinion. More Comments + Less Work! As a company that can get over 600 comments per blog post, Thrive Themes built this plugin with speed and convenience in mind - because we needed it! Whether your blog involves a team of content contributors, or you're just looking for an easier way to process comments on your own, you'll love the Thrive Comments workflow. ​In a dedicated Comment Moderation Dashboard you'll have endless comment sorting options, including comments from only your posts, comments that still require a reply, and comments on a single page or post. The whole interface is designed for speedy sorting, with keyboard shortcuts for every action. With Thrive Comments you can assign a comment to a member of your team, so that the most relevant person can reply. Replies will nest under the original comment to make it easier to see threads within your comments. You'll be able to see comments waiting for moderation on the front end of your posts, and you can set up custom notifications so you can rest assured your site will tell you when a comment needs your attention. Automatically linking keywords means all you have to do is type the pre-set term in your reply, and Thrive Comments will automatically create a link to the appropriate URL.
" Engagement is way up "
Installation was simple and straightforward. I just installed the plugin and it worked straight away. Engagement is way up and I especially love the comments upvote functionality. This further increases engagement with my content. By default, I have always left comments off on all my sites because it's just not worth the hassle. With Thrive the process is streamlined and the added benefit of having the 'upvote' functionality makes it all worthwhile. Well done to Thrive for building yet another awesome plugin. Doesn't WordPress Already Have a Commenting System? It does. But it's dropping the ball on one of the most immediate and valuable connections with your audience. Having a visitor so invested in your website that they take the time to leave a comment and .... crickets. Your power users get no reward or incentive for building your community, besides a brief reply a few days later. A visitor really resonates with a comment left on one of your posts. All he can do is reply with an "I agree". You click on a month old post and realize there are at least three replies you’ve completely missed. There's a comment on a post that another contributor would be more suited to answer. You have to send them a message or email with the comment details. Manually adding a link every time you need refer a specific blog post or tutorial. Your first time commenter is presented with a special offer in exchange for their email address. 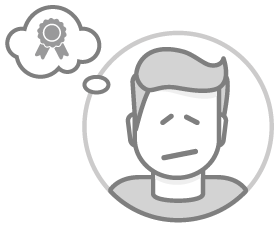 Gamified incentives keep your commenters involved, rewarding and encouraging positive interactions through badges, up-votes, and featured comments. With one click, a visitor can give an exceptional comment an up-vote, or share the comment on their Facebook account. You go to your Comment Moderation Dashboard and you've got all the comments that require your attention in one place. Click → assign to contributor. Next time that contributor logs into WordPress, they’ve got a handy list of all the comments they need to reply to. Type the word and bam! A link is generated. You can auto-link certain words (like "support forum" or "Thrive Architect") and they'll automatically link to the right resource. Replacing Your Clunky Old Commenting System Only Takes a Couple of Clicks!
" Really impressed with how well thought out Thrive Comments is"
" This makes huge sense for getting meaningful conversions! " Many thanks, Shane and the team, for another great plugin. What Do You Get With Thrive Comments? Add badges for commenting achievements to gamify and encourage site interaction. Add custom badges or choose from our existing designs. Choose which achievements to give badges for. Encourage quality comments - enable visitors to up-vote and/or down-vote comments, or disable voting altogether. You can also restrict voting to logged in users only. Get your best comments up the top of the comment feed. You can use you visitors' up-votes to determine who sits in the top spot or you can feature a comment of your choosing. We've made it as easy as possible for your visitor to comment, with "leave a comment" buttons at the top and bottom of the long comment feeds. Alleviate the hassle of signing in. 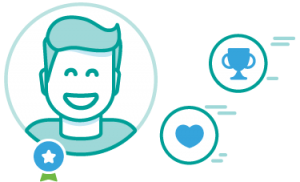 Users can instantly comment from their linked social accounts. This takes one of the biggest hurdles to commenting - signing in - out of the equation. Users can share individual comments from your posts on Facebook, Twitter or by URL. You can also ask them to share the article after commenting. If a visitor would like to be informed about new comments on a particular post, they can subscribe that post's comments. Users can comment from their website accounts. Your commenter's name and email will also be pulled into any post-comment opt-in forms. When a visitor makes a comment on your site for the first time, reward them by offering something special, like say a "Thanks for your first comment!" message or by sending them to a "Welcome to the Community!" page. Thrive Comments gives you the option to load comments only when the visitor scrolls to the end of the post. Other speed optimization options include only loading avatars when they come into the viewport. Thrive Comments comes with a reporting suite to help you gain valuable insights from your audience. Get access to voting and comment rates over time, most popular posts, and more. Insert a Thrive Comments element anywhere on your landing pages. You can even choose not to use Thrive Comment site wide. If you remove Thrive Comments, all your hard earned comments will remain on your site. Choose between Absolute dates ('03.03.2017'), Relative Dates ('One Day Ago') or remove them completely for an evergreen blog. Visitors can sort comments by oldest first, newest first and top rated. You can also choose what sorting option is default on your site. Choose the default avatar on your site. This will display when a commenter doesn't have an image. Or remove avatars completely! WordPress comments, spruced up! With Thrive Comments your comments will be displayed in a new, sleek, elegant design with a changeable accent color. Think "Add your comment..." is too generic? You can change it! Don't want to ask for a "Name" ? Ask for a "Business Title" instead! Thrive Comments is completely translatable. Don't want a single page with 100+ comments on the tail end? Split your comments across multiple pages. You choose how many comments per 'page' you want to display. Speed up your comment processing with the keyboard controlled comment moderation dashboard. Reply, delete, assign and toggle comments without a single click of the mouse. Assign comments to other admins. Use the "Pending My Reply" filter to see only the comments that require action from you, including comments on post you've published. Sick of constantly manually linking to common resources? Choose certain words (eg. "SEO tutorial") to automatically link to predefined URL's. What will happen to the existing comments on my site? All of your existing comments will remain when you install Thrive Comments. They will be included in the Thrive Comments Moderation Dashboard. What will happen if I remove the plugin from my site? All of your comments will remain on your site. Your old WordPress comments platform will take over, but all additional features like up-voting will be lost. All comments made from social sign-in will remain in your WordPress comments. Can the author pin a comment to the top? Yes, in Thrive Comments, moderators can “feature” a comment, which makes it appear at the top. Yes, the Thrive Comments plugin is fully translatable. Does Thrive Comments send notifications? Yes, you can set Thrive Comments to notify you by email of new comments, and to notify your commenters when they get a reply. If I have another comment plugin installed, will my comments transfer across? Make sure your comment plugin exports comments back to your native WordPress commenting system before disabling it. Thrive Comments will import all existing WordPress comments on install. Do you have to use the up-vote and down-vote options? No, everything in Thrive Comments is customizable. You can choose between up and down voting, up voting only, or no voting. Do you have to use a Thrive Themes Theme for Thrive Comments to work? Thrive Comments will work with any WordPress theme. Will Thrive Comments stop spam? What moderation features does Thrive Comments include? 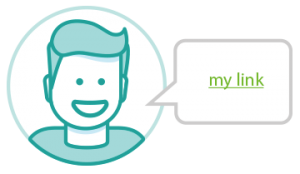 Thrive Comments pulls in all of your existing WordPress Discussion Settings, including manual approval, link allowances and blacklisting terms. Are comments available on pages as well as in posts? Yes, you can add Thrive Comments to any page using the Thrive Comments Element within Thrive Architect. Will my comments be indexable by Google? Yes, Google can index comments even with lazy-load on. Commenting required a tedious entry process, lacked avatars, and needed a lot of effort. I've never liked many of the popular commenting options due to performance issues or losing my comments to a 3rd party, so I stuck with the built-in commenting system that WordPress provides. Adding Thrive Comments was a breeze. The system simply builds on the standard functionality, so no actual effort besides a few seconds adjusting the settings to my liking. "Adding Thrive comments to my site was as simple as adding any other decent wordpress plugin - easy!" The comments are far clearer now - and people can respond directly to specific comments more easily. Also, I have a far better interface now to manage them - and I mean FAR better. Get Your Engagement Machine Pumping! We're convinced you'll love Thrive Comments and that it will allow you to dramatically improve your WordPress commenting system. However, if you're unhappy with the plugin for any reason, you can get a full refund within 30 days. No questions asked. All you have to do is install the plugin, and within minutes you'll be unlocking the power of comments on your site!